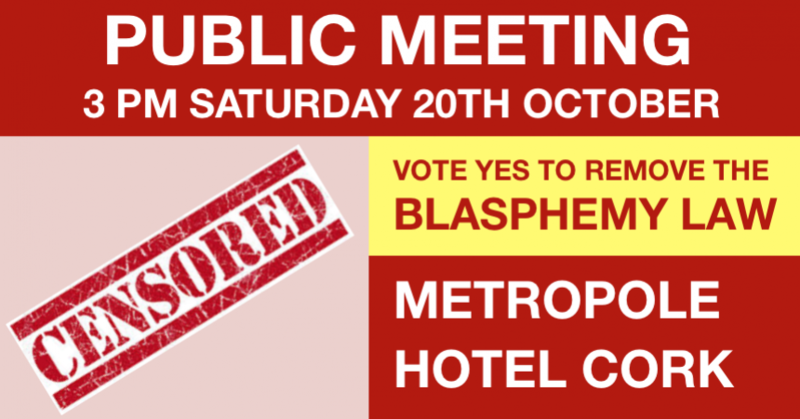 Public Meeting in Cork on Vote Yes to Remove the Blasphemy Law. Details of speakers to follow. Find this event on facebook and meetup.